Possible causes are spinal cord injuries, strokes, hospitalisation (prolonged), postfracture conditions and others. 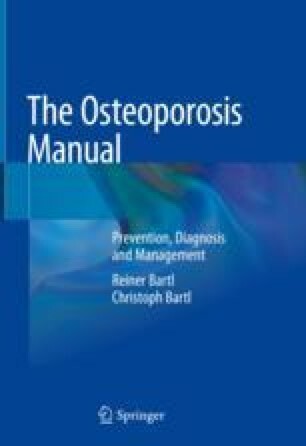 Insufficient physical activity is one of the most important overall risk factors for osteoporosis. This is especially true for young bedridden patients who can lose up to 30% of their bone density within a few months while years are required for its replacement—that is, for restoration of density as it was before, i.e. “restitutio ad integrum”. For example, when an arm is enclosed in plaster for 3 weeks after a fracture, the immobilised bones may lose up to 6% of their bone mass during this short period. A study of patients confined to bed has shown that, on average, trabecular bone decreases by about 1% a week. When physical activity is resumed, bone density increases by 1% a month, considerably slower than its loss.